MNA – The political head of the Ideological-Political Bureau at the office of the Commander-in-Chief of Iran’s Armed Forces said Thu. that the recent remarks by the US Secretary of State Mike Pompeo against Major General Ghasem Soleimani will bring nothing but shame to the US government in the eyes of the oppressed people. 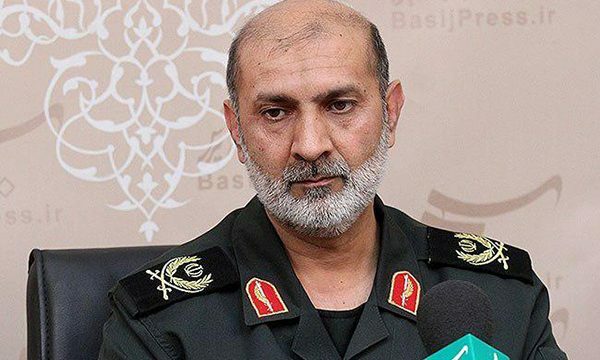 General Soleimani is a very popular figure among people of Iran and region and the recent positions of US Secretary of State Pompeo is ‘disgraceful’ for the US government, Brigadier General Mehdi Sanaeirad told Mehr News correspondent on Thursday. The victories of the Axis of Resistance in Iraq and Syria under the wise management of Major General Soleimani have thwarted all plans and conspiracies of the United States in the region, so that the US government’s plans in the region are doomed to failure, he added.